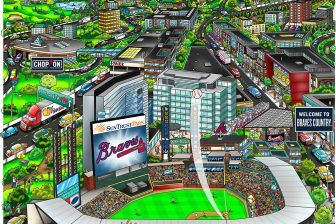 One of the highlights of the 2014 MLB All-Star Game will certainly be the final appearance by New York Yankee Captain Derek Jeter. 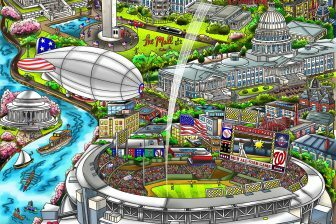 Charles Fazzino has celebrated the great shortstop’s career in a few different artistic forms, all of which will be on display at the T-Mobile All-Star Game Fanfest in Minnesota during All-Star week. 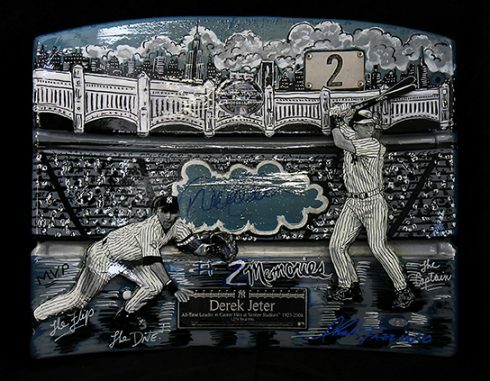 Fazzino has assembled a striking collection of hand-painted seat backs from the old Yankee Stadium (all numbered #2 of course) and baseballs all autographed by Derek Jeter. 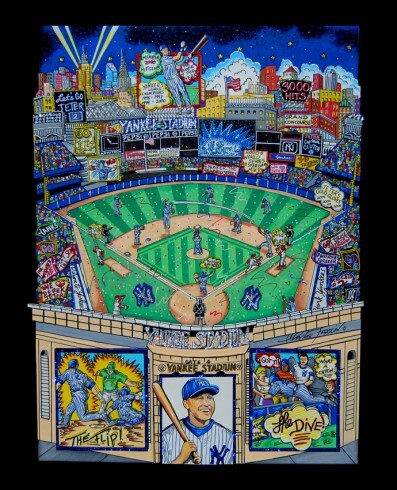 He’s also painted an original 3D canvas work to celebrate the Yankee legend’s incredible career. An Instant Replay of Fazzino at the 2018 MLB All-Star Game! 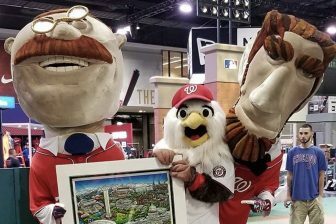 The Washington Nationals Host All Star Game 2018!